So, we can paint colours on the screen - let's do this from GPIs! 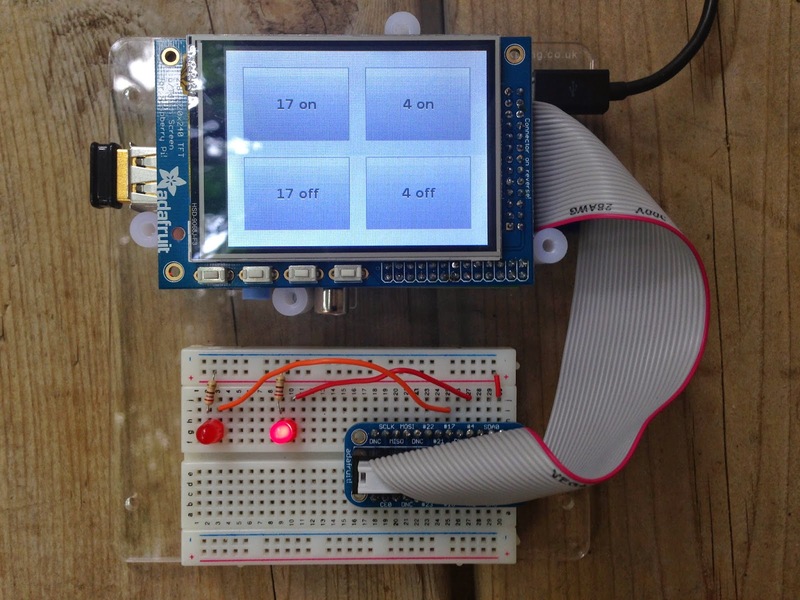 We'll use the four tactile buttons along the bottom of the screen to draw the GPIO number and a coloured background. 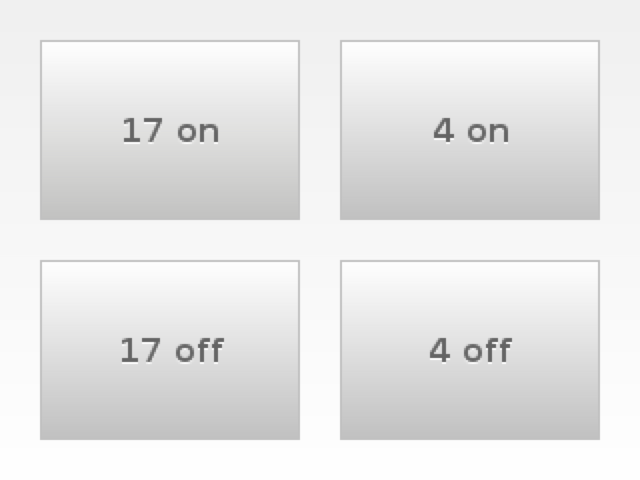 From left to right the buttons correspond to GPIO #23, #22, #27, and #18. 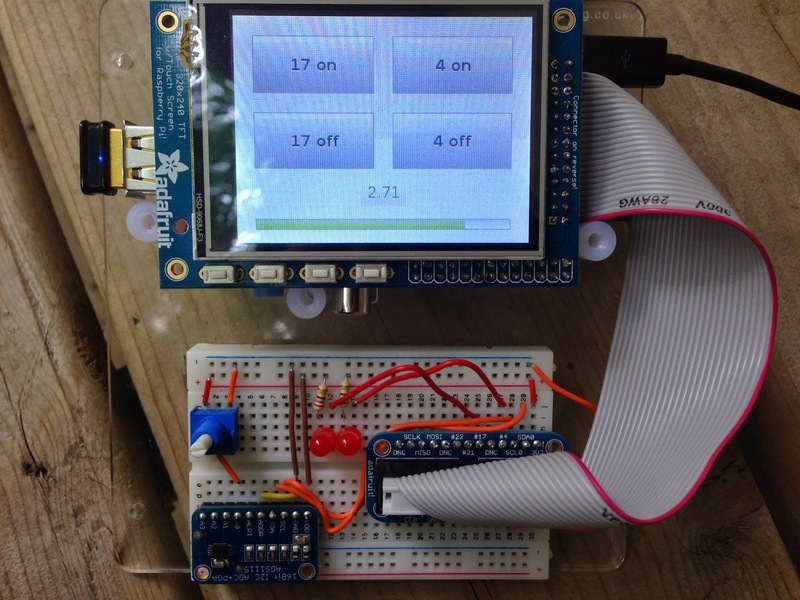 The PiTFT from Adafruit is a touchscreen. So let's see how we get input from the screen. We'll use this to light some LEDs on the breadboard. We're now going to improve the UI by introducing a widget framework PygameUI. This example controls GPIO #17 and #4 as above but now we're using the new framework. The widget rendering and touchscreen events are handled by PygameUI. 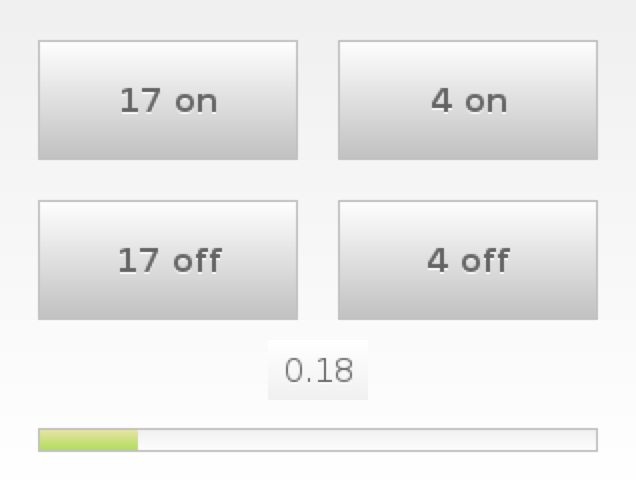 The PiTft class defines the buttons to draw on screen and the click event to be fired when a button is pressed. This next example uses a 10K potentiometer to provide a varying voltage. For analog to digital I normally use an MCP3008 over SPI. Unfortunately the downside to the Pi TFT touchscreen is that both SPI channels on the Pi are in use. So I've switched to an I2C ADC from Adafruit: ADS1115 16-Bit ADC - 4 Channel with Programmable Gain Amplifier. A few important notes about this code. A thread is used to constantly read the potentiometer. If you take the reading in-line in the scene update method then you'll slow down the screen refresh rate. The ui.Scene class (PiTft) is instantiated after the call to ui.init - if you do this the other way around it will fail. A signal handler is used to trap ctrl+c and terminate the PotReader thread before calling sys.exit - otherwise the program will not close. # Set this to ADS1015 or ADS1115 depending on the ADC you are using!